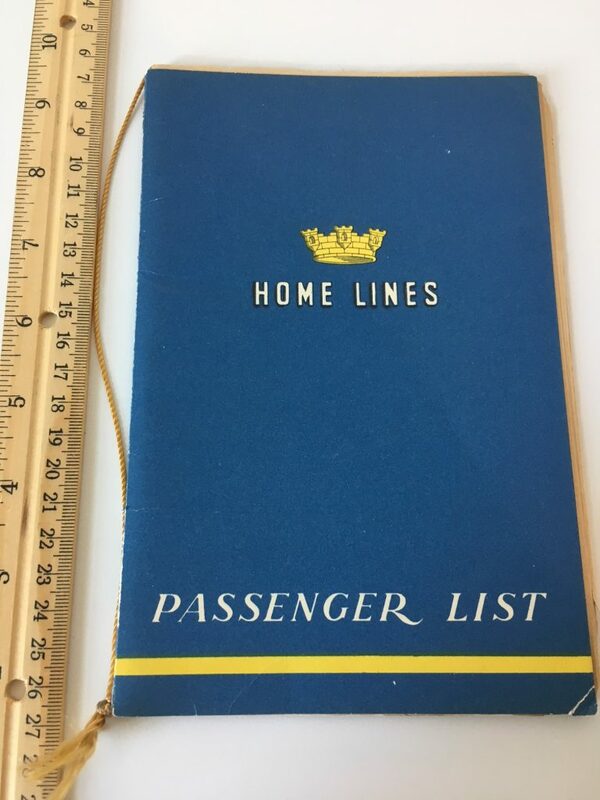 Lovely passenger list dated May 14th 1955 the day the Italia left Hamburg heading into NYC via Southampton. Le Havre and Halifax. Nice Golden Tassel. The pages a toning to a browned patina.